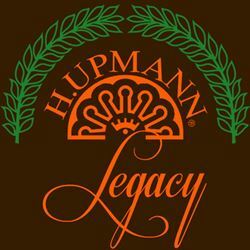 Building on the heritage of this revered brand, H. Upmann Legacy brings new excitement to the contemporary aficionado with this line of modern, fuller-bodied smokes. Each cigar is meticulously hand-crafted with vintage 2008 tobaccos grown from heirloom seeds treasured for generations. A dark, mountain grown Ecuadorian Sumatra wrapper surrounds a savory binder from the cloud-cooled rainforests of Nicaragua and an intense mix of prized Nicaraguan and Dominican filler tobaccos. This exquisite blend results in a vibrant, fuller-bodied smoke complemented by a myriad of subtle and complex flavors unlike any H. Upmann before it.